Most people hardly give it any thought, but there is a tiny piece of French territory off the coast of Newfoundland. Its 7000 people send 1 representative each to the French Senate and to the French National Assembly. Their currency is the Euro. They speak French as it is spoken in France and offer French cuisine as good as anything in France. Its most populated island, St Pierre is choked with French cars, most of which sport dents. You really feel like you are in France. Indeed, a letter to Paris goes at local rates. The less populated Island is full of natural beauty. Seals and other wildlife can be seen in the Grand Barachois lagoon in Miquellon. 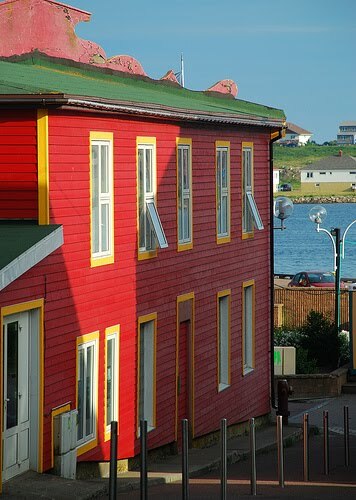 Between the natural beauty, the colorful houses and the cool weather, St Pierre and Miquellon are a well kept travel secret. They can be reached by plane from Nova scotia, as well as by boat from Fortune in Newfoundland.